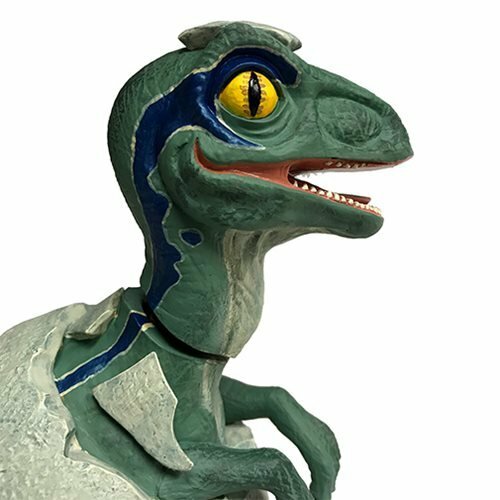 Fans of the Jurassic World movies will love this Jurassic World Blue Raptor Hatchling Premium Motion Statue. The statue is highly detailed and crafted from heavyweight polyresin. 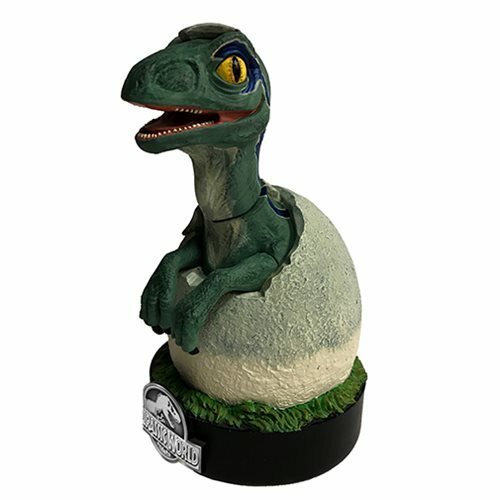 Designed to recreate the hatching of Owen's loyal Raptor. The statue features a non-electronic motion, bringing the piece to life. 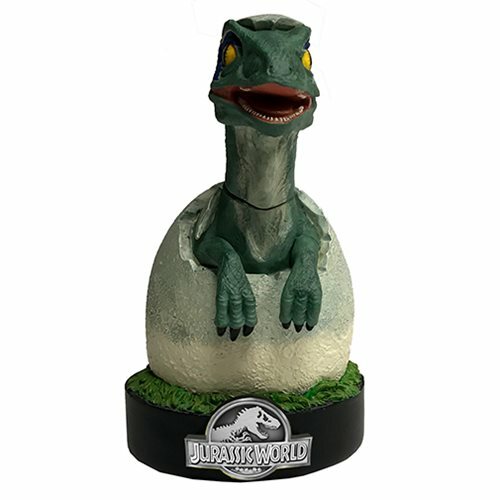 But don't worry, this cute little Raptor hatchling is guaranteed not to bite! Comes packaged in a full color presentation box. Measures about 7 1/4-inches tall x 5-inches wide x 4 1/8-inches long. Ages 14 and up.